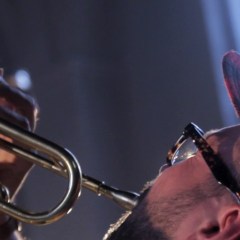 Documentary film maker Anders S. Jepsen has documented Tully Boris III in concert at KoncertKirken during the 2015 Copenhagen Jazz Festival. A beautiful portrait highlighting the explorative improvisations and attention to sound that characterizes the group. Tully Boris III is Tomasz Dąbrowski, Anders Vestergaard, Søren Gemmer. The composition ‘Why Boris’ as well as excerpts from an extended improvisation are available at soundcloud.com.